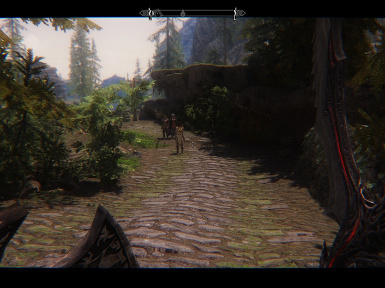 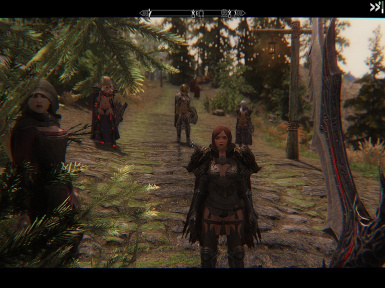 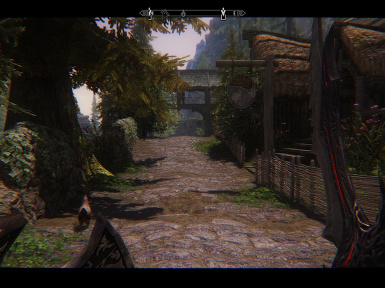 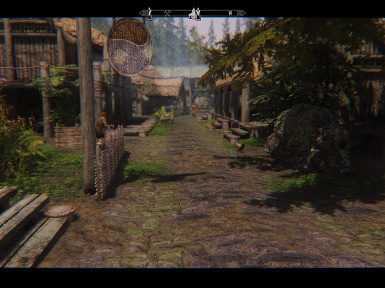 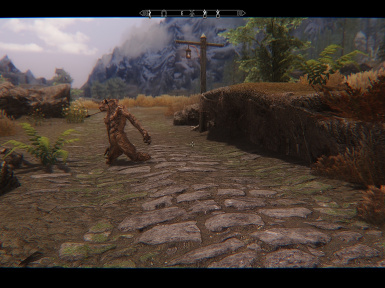 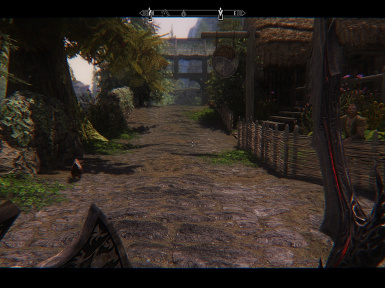 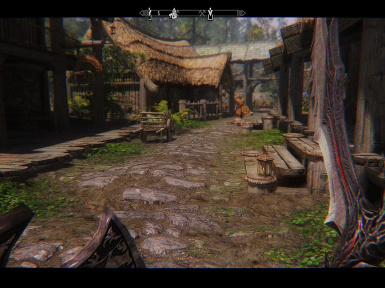 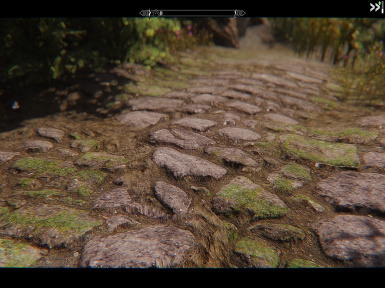 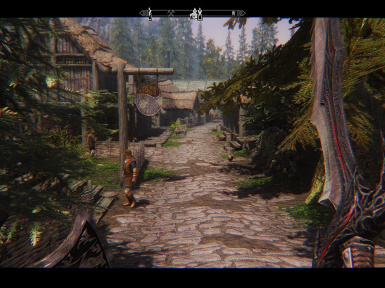 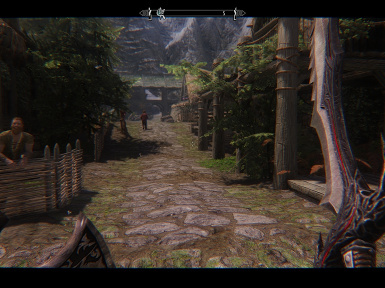 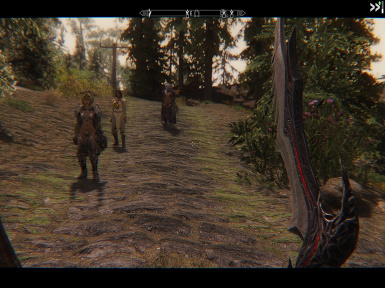 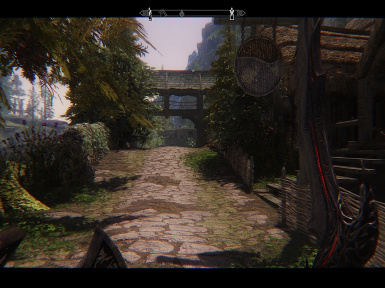 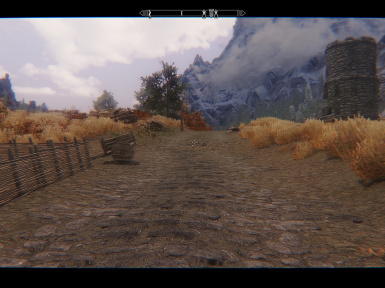 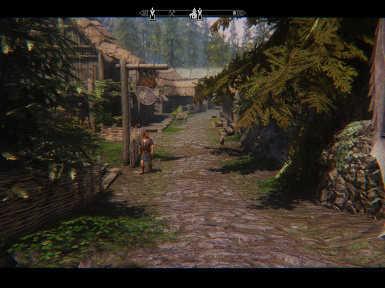 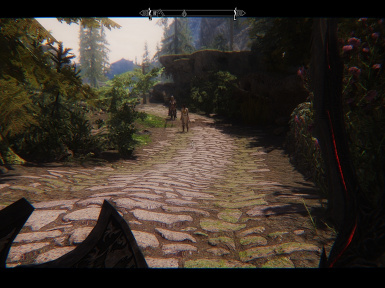 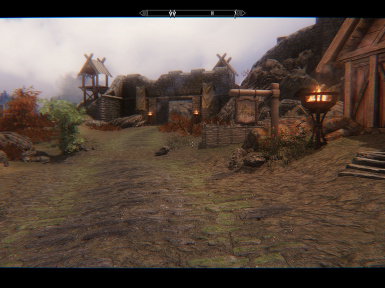 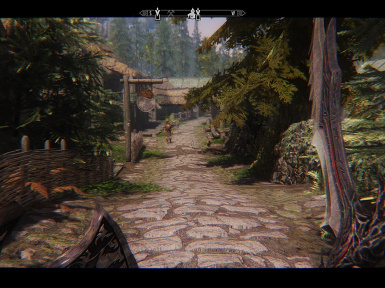 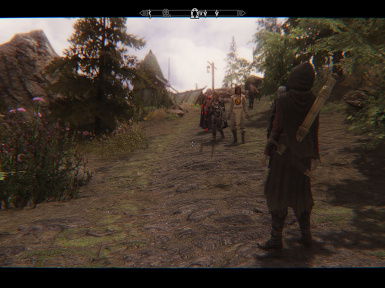 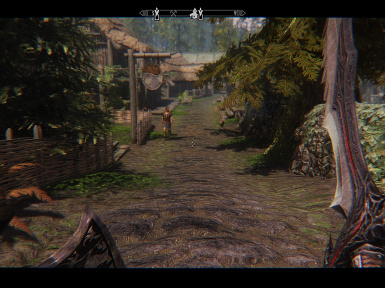 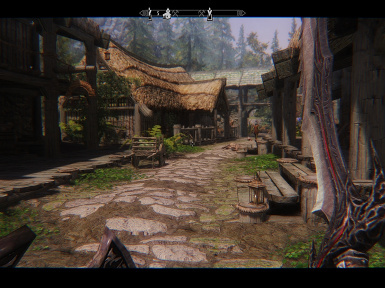 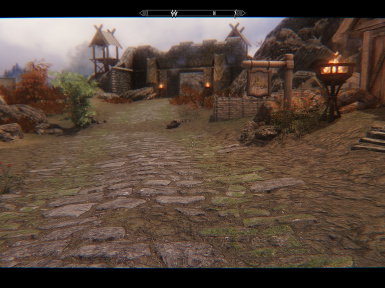 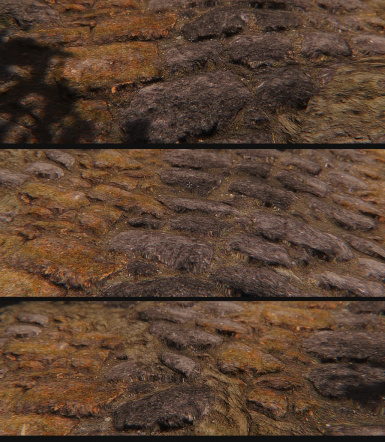 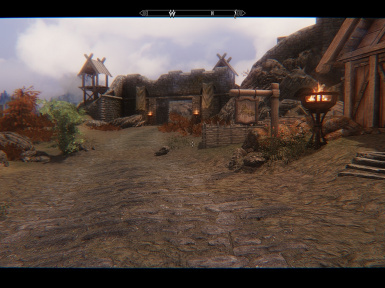 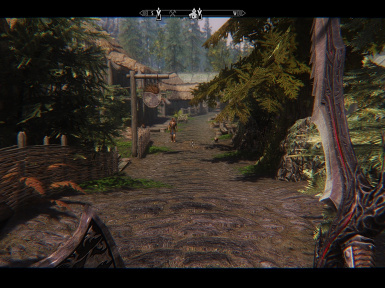 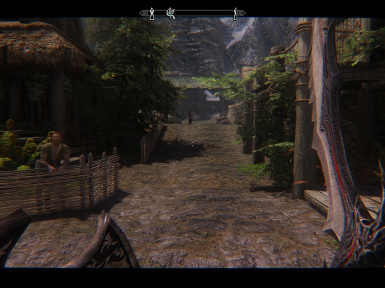 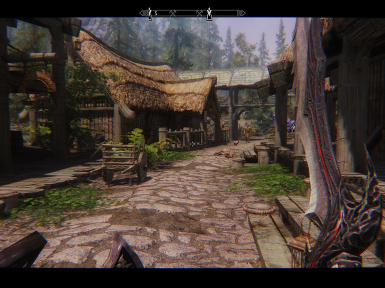 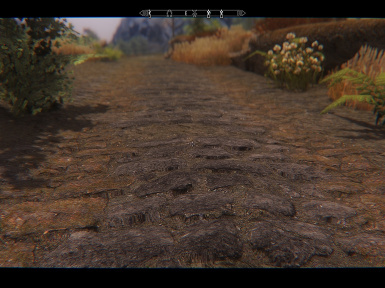 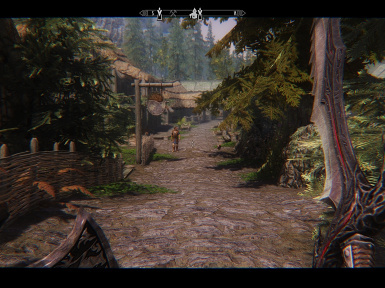 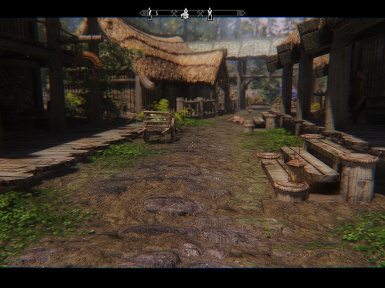 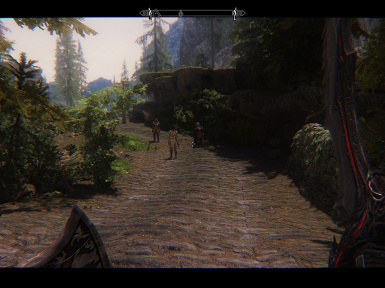 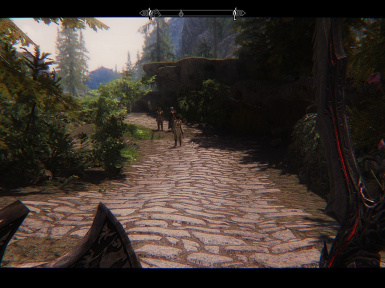 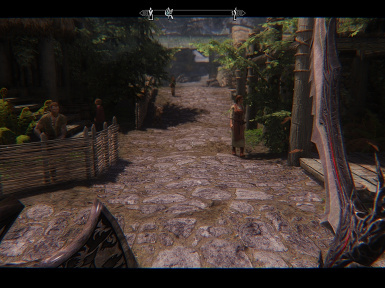 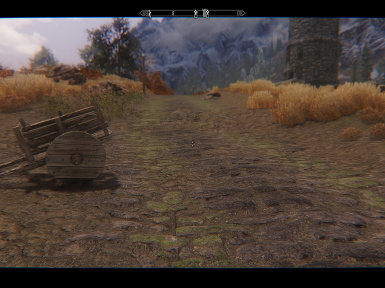 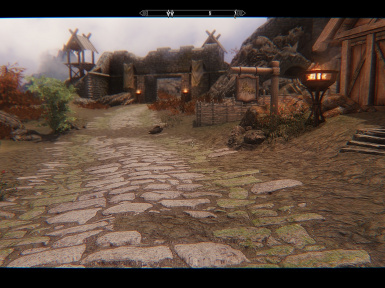 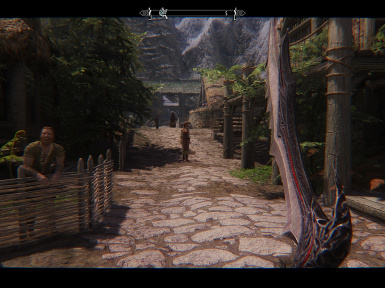 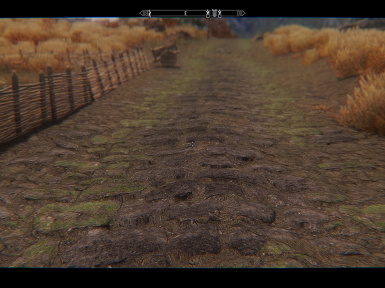 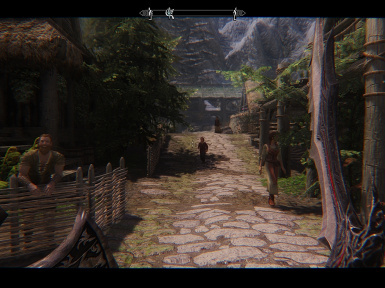 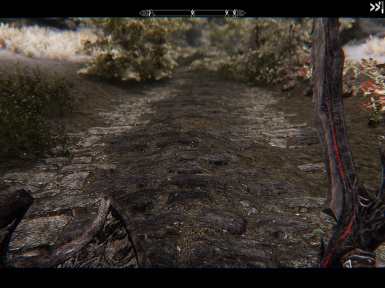 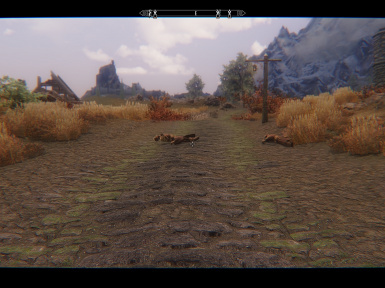 A complete retexture of Skyrim roads now with parallax, for ENB or no ENB users. 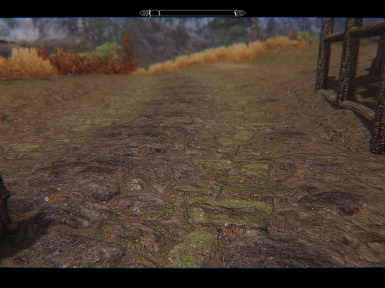 Many roads to chose: dark, normal, white, with green moss, with orange moss, with dust and snow variants. 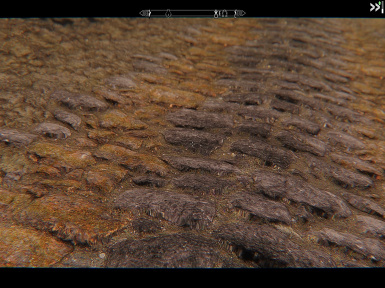 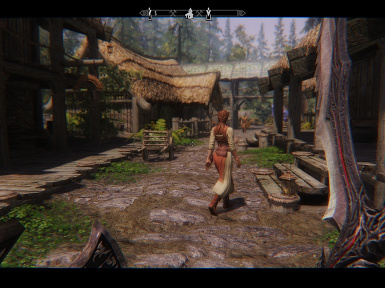 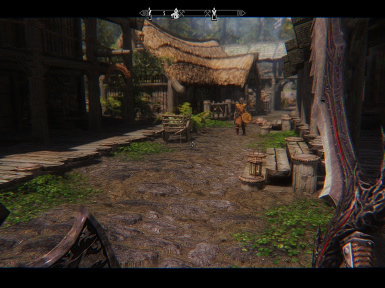 This is my first attempt to make a texture mod for Skyrim (already did for other games) so forgive me if something is wrong. 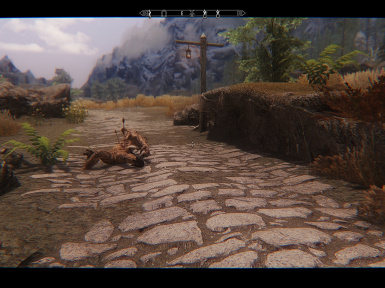 Why i made it?. 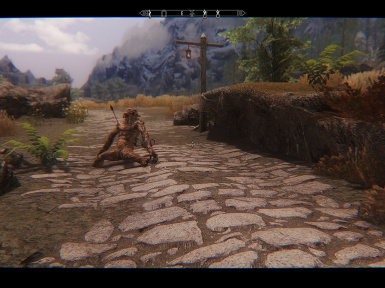 Because i was bored at work. 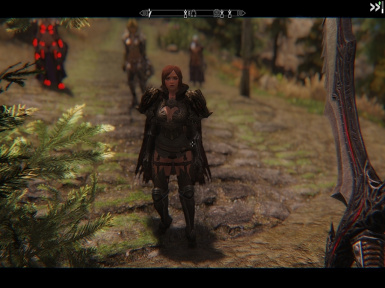 - Added FOMOD installer for both versions, credits to Krysalynne. 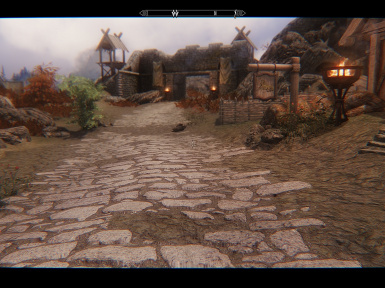 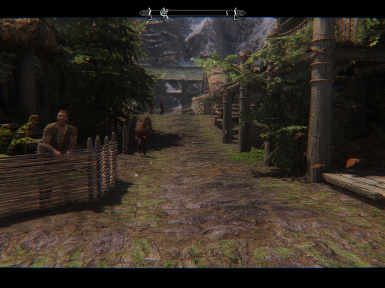 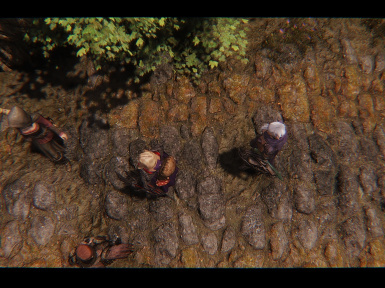 - Added Eastmarch, mountains and whiterun roads. 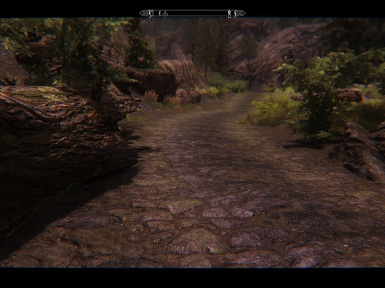 - Added parallax to The Reach, snow roads and The Rift. 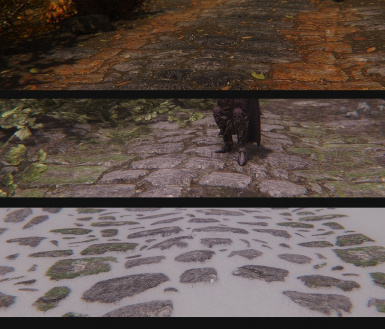 - Better parallax file for all roads. 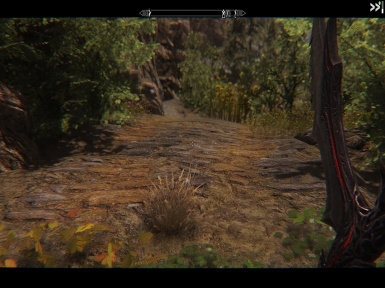 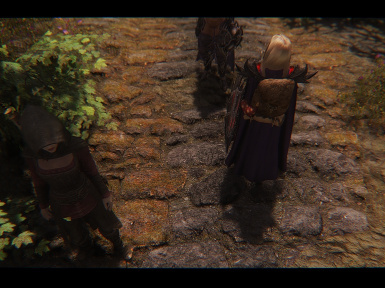 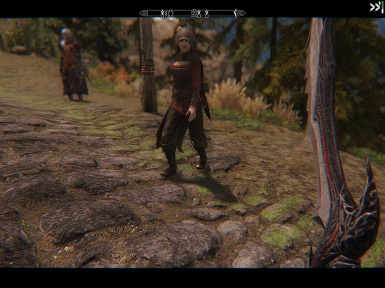 - Added 2 different files, for ENB and non ENB users. 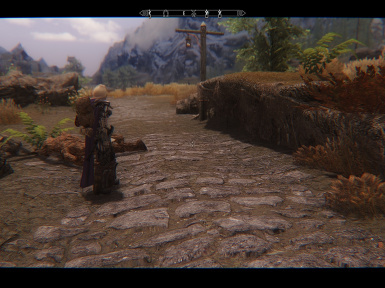 Easy installation with NMM now. 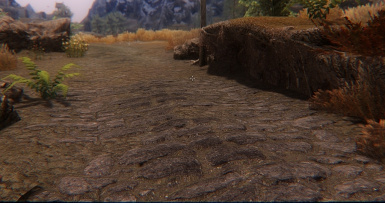 - Added 4 region zones with many roads to choose. 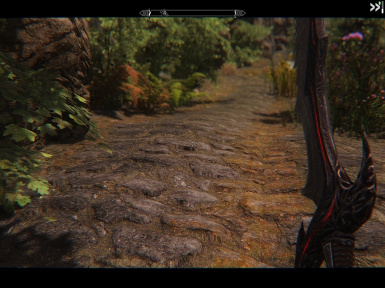 The pics are taken with Performance and Realistic ENB high settings + realistic upgrade. 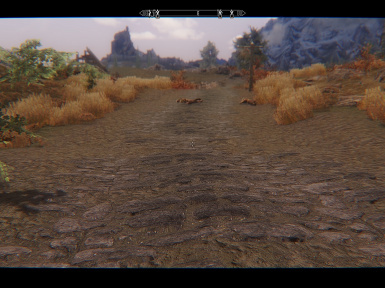 1- Download the Immersive Roads for ENB and install via NMM or copying content into Skyrim/data folder and click "yes" when prompted. 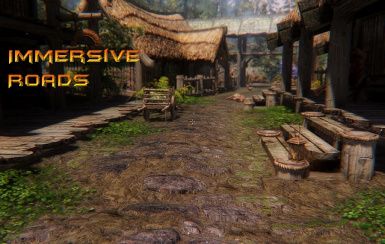 2- Activate the immersive roads.esp in NMM. 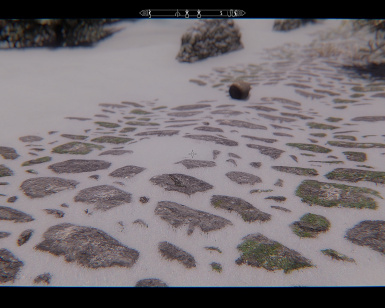 3- If you want to change any roads download the region file you want, chose the road and copy TEXTURES folder to Skyrim/data folder and click "yes" when prompted. 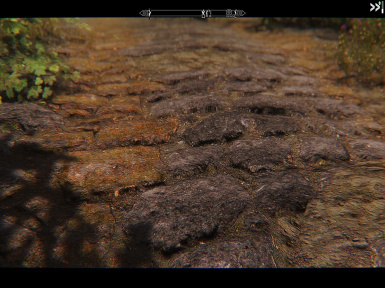 1- Download the Immersive Roads without ENB and install via NMM or copying content into Skyrim/data folder and click "yes" when prompted.